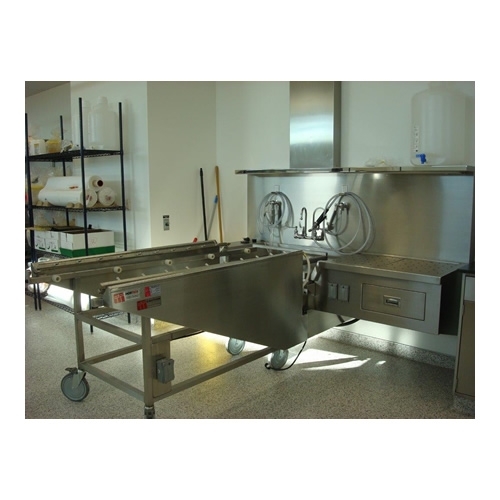 The Model 600035 Ventilated Embalming Table by Mortech Manufacturing Inc. is designed as an integral part of the embalming process and for cadaver handling. Equipped with rollers that allow for easy loading and unloading of cadavers. 3in/5cm permanent slope designed to assist in drainage. Fabricated from square, 304 stainless steel tubing 1.5in/3cm .12 thickness. 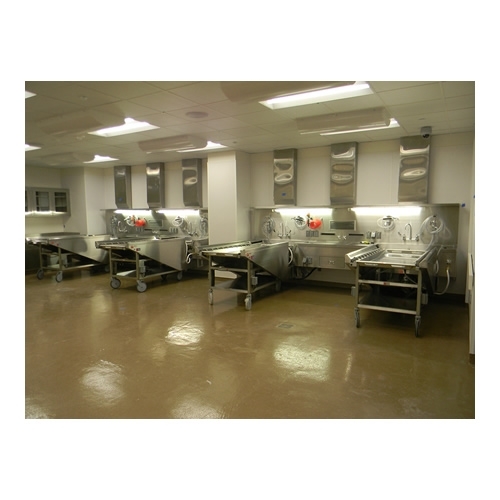 Stainless steel has a grained finish and all welds match adjoining surfaces. Easy quick connections for electrical and water rinse assembly. Standard design for 23in/58cm body tray. 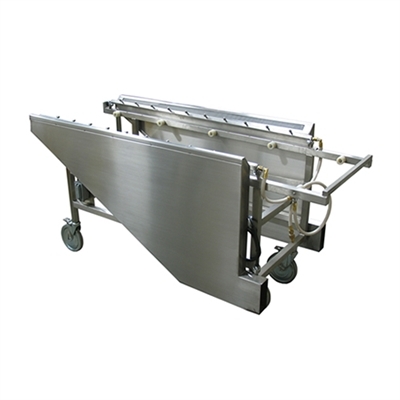 Comes with a T3626HS body tray with 23" width. Please inquire for special order sizes. 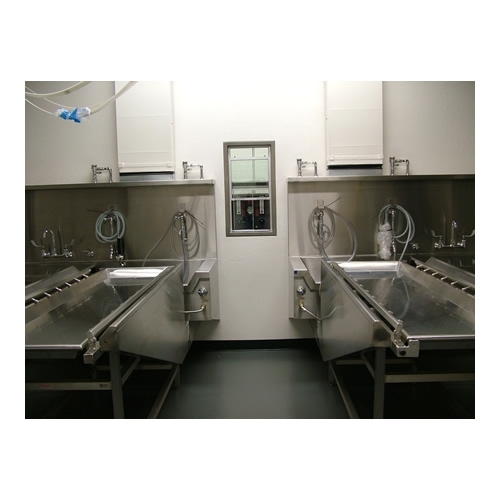 Mortech's products usually ship in 10 to 13 weeks depending on availability. Please call us before ordering if you need to know a more accurate shipping date for this product. Our website is unable to accurately calculate shipping rates for Mortech's products, so the $700.00 per unit shipping rate that appears during the checkout process for this product is only a "worst case scenario" estimate. Upon shipment of this product, your credit card will only be charged the actual shipping rate as provided by Mortech. If you need to know the actual shipping rate for this product before placing an order, please call us and we will be happy to get that information for you.